Jones & Sons is a classic British restaurant & cocktail bar, founded by Andy Jones in 2013. It’s a place to meet, eat, and drink, with an emphasis on well prepared honest British food of the highest quality & artisan cocktails from around the world. After five successful years owning Jones & Sons Dalston and establishing a loyal following, Jones & Sons Angel is the second location for Andy. The second restaurant will be founded on the same winning formula but have more of an emphasis on Steak supplied by the Rare Breed Meat Company. His N16 restaurant goes out of its way to serve food that is sourced with integrity and cooked cleverly by Head Chef Kieran Hope. 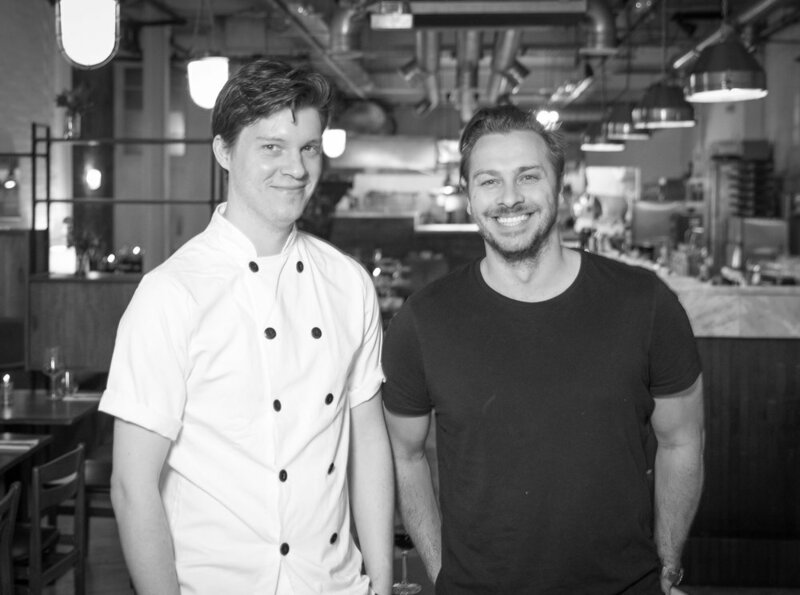 Kieran has been Head Chef at Jones & Sons from day one, having previously cooked at a number of East London culinary institutions including Bistrotheque, Le Pont de la Tour and Hix. This new venture will include their famous Bottomless Brunch filling up weeks in advance, and their legendary Sunday roast has been featured in the Evening Standard as #7 on their list of the “Top 25 restaurants for Sunday Lunch”, and more recently GQ put them in the top 3 in their “Sunday Lunch Guide”. Menus will continue to be written seasonally and will change every six to seven weeks. For the interior, Andy has taken inspiration from his Dalston site, with unique design elements including 1960’s Danish dining chairs, solid walnut dining tables, sourcing lights from a marine salvage specialist in Exeter and a Carrara marble bar top. With space for 70 covers in the main restaurant and 24 on their outside private balcony, Jones & Sons Angel will offer full table service and is a grown-up departure from the clamour of Angel Central and this end of Upper Street.